Chiropractor Topeka: Low Back or Neck Pain Putting the Brake on Your Summer Road Trip or Getaway? We are firmly into the grasps of summer and it is vacation season! 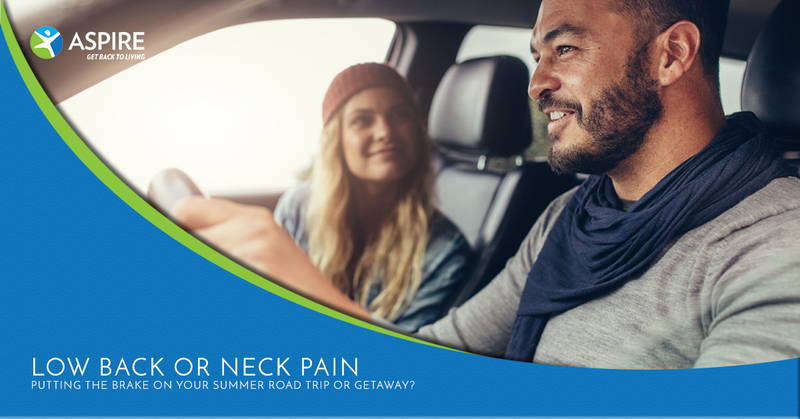 Whether you are taking a road trip or heading to the nearest airport, vacation can mean a change in activity levels, diet, and sleep — all of which are important for everyone, but more so for those of us who suffer ongoing neck or back pain. Estimates vary but a sizable portion of the adult population in America currently suffers from neck or back pain — most likely under 33 percent. Other research suggests nearly all of us will have some bout of neck or back pain throughout our lives (usually less than three weeks). Are these numbers supposed to scare us? For this blog, no. My aim is to provide some helpful tips and modifications for your vacation which can help you enjoy it to the pinnacle without lower back or neck pain slowing your travels! As always, if you have any questions about managing your neck and lower back pain while on vacation, call your chiropractor in Topeka! We’re here to help you improve and maintain the optimal health of your neck, back, and body! 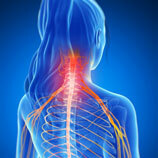 A change in activity levels can often be a partial cause of increased neck or back pain. First, let’s do a quick basic (very basic) anatomy review! Our neck and back are two very important areas of our body. There are an abundant amount of processes occurring in the body — blood vessels and nerves (big ones! ), lots of bones and joints, and many muscles. Our body does a great job at keeping the system in great order. 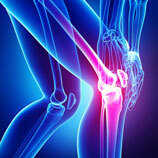 Injuries and pain do happen and changes in activity levels can often be a root cause. Our body likes what it knows in terms of physical, mental, and emotional “stress” or work. If you ask your body to take on new activities which it is unfamiliar with, then sometimes it can react irritability (especially if you are older in age). What are some of those new activities? Long car or airplanes rides can irritate the neck and back because we were made to move, not sit for long periods. Other activities include those we do while on vacation, such as hiking or shopping, which involves standing and walking for longer periods. These are necessary vacation endeavors so what can we do to get our body ready for it? Obviously, if you are seated in a plane or car for long periods, get up when you can and move around. If you are planning uncommon physical activities during your trip, begin performing similar levels of physical work to what you will be doing on vacation a few weeks before your trip. For example, if you’re planning on hiking during your vacation for a few hours — get on the treadmill or go walking a few times in the upcoming weeks for extended periods of at least 30-plus minutes. It is difficult to prepare your body for long periods spent in a cramped, confined position, so I will address this next with activity modifications. While activity modifications may not be ideal, if they make a vacation enjoyable rather than stressful, it is worth it! How can we modify longer periods of sitting in a vehicle or plane when lower back or neck pain is present? Remember, our bodies were made to move, especially in variable ways! Rising to your feet and moving as much as you can during the flight or standing once an hour for five minutes is beneficial. Sitting in one position for hours on end is not movement variety. Stretching out in your seat to the best of your ability is helpful. Movements such as raising one or both knees to your chest, raising your leg up (with knee bent), and crossing your ankle over your other knee and pushing your leg so it folds out are all good seated stretches. Hold each stretch for thirty seconds if possible. For neck issues, having your eyes closed and slowly rotating your head side–to–side as far as you comfortably can is relaxing. After rotating your neck, try side bending from side–to–side in a large comfortable range of motion. A good stretch for both neck and back issues is arching your entire back as far as you can comfortably, then bend your back in the opposite direction to a comfortable end range level, slowly. Other modifications include taking a leisurely 10-15 minute walk before you need to board your flight or leave in the car. Doing some full body stretches before you leave is beneficial. Modifications might also mean taking breaks on vacation excursions. As mentioned in the previous section, our bodies can react negatively to new physical activities, which is why assimilating ourselves to such activities is wise — especially when dealing with neck or back issues. 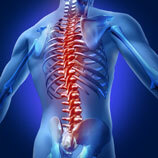 Lastly, diet and sleep can make a massive difference in managing lower back and neck pain. Meals on vacation can largely be from restaurants where extra sugar and fat are added to make foods more enjoyable. What we use to fuel the engine can often have great effects on how the engine runs [the engine here being our bodies]. Getting those high nutritious foods of vegetables, fruits, low-fat chicken, and fish can only be helpful when dealing with lower back and neck pain. That being said, you are on vacation and do not be afraid to treat yourself to something good for some meals! Along with what you eat, quality sleep is vital, so make sure to get at least seven to eight hours of sleep each night. Wherever you are staying, a cool, dark, room with little outside noise is best. Irritable about sleeping in a bed that is not your own? Bring your pillow along to further aid in relaxation or try a “relaxing noise app” free in the Android or Google app stores. If you are one of the many Americans currently suffering from neck and back pain, hopefully, these tips have helped you. Our bodies respond best to familiar variable activity. Staying active before and during vacations can help, as long-distance travel often means long periods stuck in one position. Watching your diet and making sure to get adequate sleep are helpful wellness activities which can aid the system in recovery. If you would like to schedule an appointment for chiropractic care before or after your trip, give your chiropractor in Topeka at Aspire Rehab a call! Enjoy your vacation!